When it comes to roller coasters, the industry has pretty much hit a dead end. While there have never been more designs of coasters available, the end result is the same. A coaster is just a coaster. How many different variations of loops, twists and turns can they try to make before it all becomes the same ride from park to park? According to an article on Space.com BRC Imagination Arts is looking at breaking the monotony of every day roller coasters, and building a coaster that mimics the flight of the KC-135A, affectionately known as the “Vomit Comet”. The Vomit Comet was a plane used by NASA to simulate weightlessness by making a series of dives. Riders of the comet would experience up to 35 seconds of weightlessness. 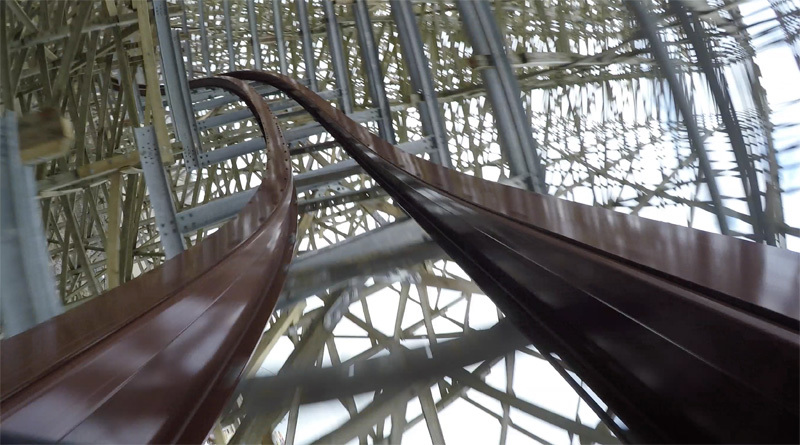 The new coaster would only give riders 8 seconds of weightlessness, but designers feel that’s enough. Normal coasters strap riders in an open air train, then either pull or launch them into a circuit of track. 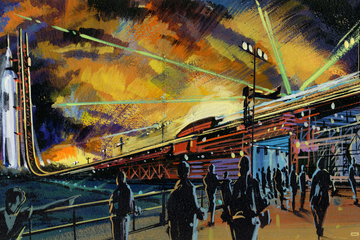 Riders of the new proposed Vomit Comet will be locked into a capsule, then launched vertically into a coaster track. Designee compare the experience to Superman Escape from Kryprton at Six Flags Magic Mountain….only much taller. Riders won’t feel a sensation of acceleration or falling because they won’t see a focal point. Riders will just suddenly come out of their seats. The ride will measure each train full of passengers, and because each passenger weighs different, adjust to achieve the maximum weightless effect. Estimated cost of this coaster is around $60 million. Over the years a coaster ride has remained relatively the same. You go up a hill, into a circuit and you’re done. With this coaster, is it possible that we can be seeing the next stage of thrill rides? Instead of a focus on height or length, or number of inversions, whole thematic elements could be added into the coasters. This could take coasters to a completely new level apart from the standard out and back design. More as we here it.